Let me start by saying that this is a long, yet informative post. I made a comment on the blog the other day in reference to one shoemakeris leather being typically of a lesser quality with respects to another maker. Not necessarily that it was a low quality, only that within the grades of high quality, one was lower than the other. 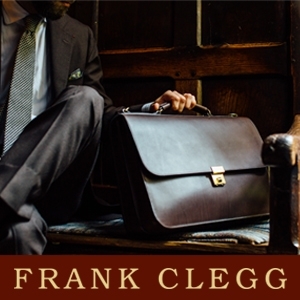 This comment threw off the reader as he was under the impression that leather qualities were of like-quality across the board of handgrade shoes, ranging from brands AS to C&J to EG. Let me first start by saying that this is definitely not the case. They all use different quality leathers, from different level of leather makers (tanneries) and while some might even come from the same tannery that does not necessarily mean that they are using the same leather or rather, using it in the same way, which does make a difference and I will explain it below. Plus there is a reason why some shoes cost more than others and a big part of that is the leather, especially as it is the component that makes up 95% of the shoe. (From this point onward, let us start by assuming that we are talking about factories that make shoes that retail for +£300. Now prior to making this comment, I had an idea about how the leathers differ as I touch them every day, all day long and can feel the difference. Not to mention that I own a lot of shoes from many makers. But because I did not have a factual answer to give, I had to go ask someone who would know, not only because they currently own their own factory, but have worked for others as well. That being, when a factory buys leather from the tannery, they are usually given an assortment of pieces/hides that come from grades 1-3 (1 being the highest, 3 being the lowest naturally) to then make their shoes with. I was previously under the impression that a factory could simply say, I want grade 1 leather and that is all. But clearly I was wrong. The way in which people then separate themselves is how they use all of that leather, as it greatly differs and here is the secret to why some shoemakers shoes are always brilliant and why others aren’t as prestigious. Now to make things even more confusing, within a grade of leather, say grade 1, there are then around 5 sub-grades within that single grade. 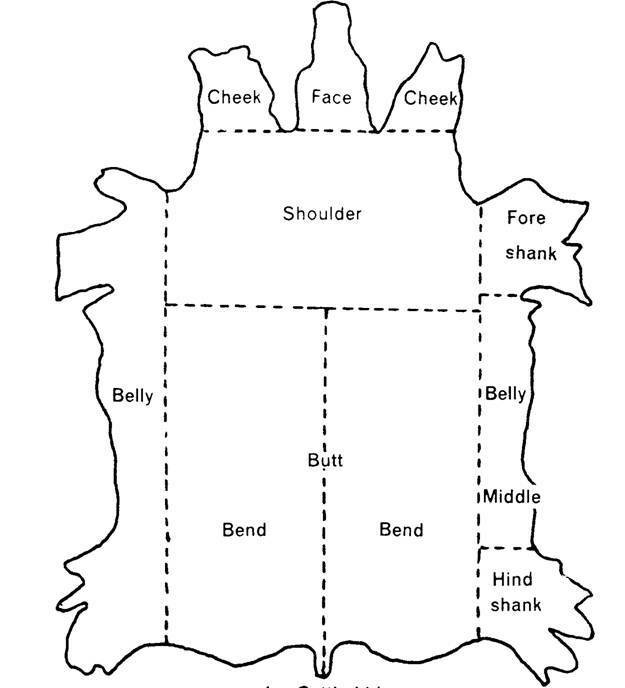 (grades of hide quality are separated by the amount of flaws on the hide, then within each hide you have different levels of quality from the head, neck, spine, belly etc.) That being there are many options to choose from. So let’s assume that we are now talking about factories that are predominantly going to use only grade 1 leather. Now when you get a hide of leather there are certain parts of it that are better than others as there certain parts of the shoe that are more visible/prominent and thus considered more important than the others. 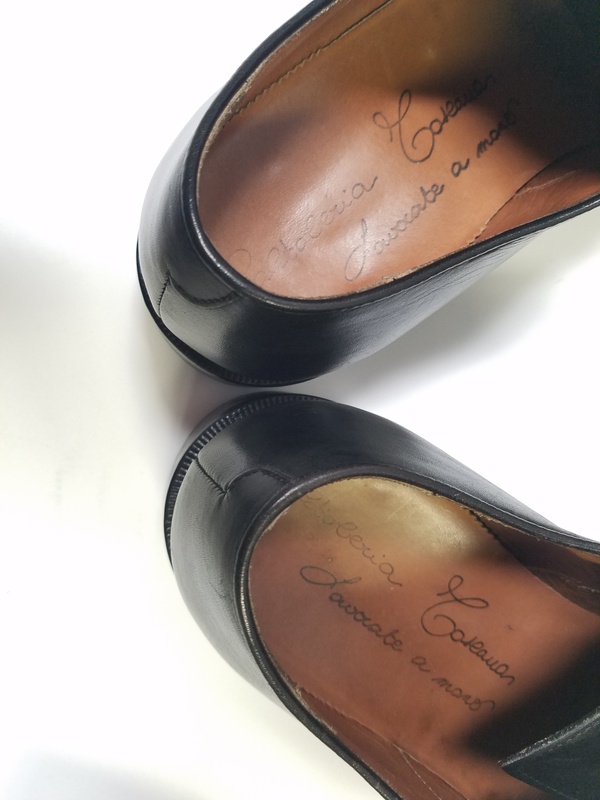 For example, the toe box of a shoe is the part that everyone notices and sees and therefore needs to be of the utmost quality, usually the leather that is the tightest. And what part is the tightest? The spine area is, which would be the center of the hide. And the more that you go away from the center and thus reach the belly of the cow, the looser, wrinkly and veiny the leather gets. An annoying discovery where my factory thought it would be intelligent to use a good piece of leather (the spine of what looks like lower end grade 1) and a bad piece (the belly of what looks like grade 2/3 leather) to make one pair of shoes…..I clearly had to send that back as a reject!! Now assuming that a factory has this slab of leather in front of them and assuming that utilizing one slab to its maximum potential can cut you 6-8 pairs of shoes. Now the difference is that one factory, may use the center to cut out all of the toe pieces/plain toe vamps etc. and then use the side of the slab to cut all of the heels/quarters/facings and maximize that slab to the fullest in order to get 6-8 pairs out of it, but still using all “grade 1” leather (but remember even in grade 1 leather are subgrades that are not as good in some parts of the hide as others). But then there is the factory that only uses the center of that slab and gets only 1 pairs worth. Which shoe is better? So, you see that even though the leather is the same, the factories used it differently and one factory produced a shoe from only the best part of the cow while the other used parts that aren’t as good but put them in places not as noticeable and thus not as important. (and if you haven’t figured it out, the brand that cut one shoe from the leather as opposed to 6-8, is going to be at least triple the price). The moral of the story is that while many brands will use different tanneries for their shoes, the important thing to realize is that one of the major separators of price is how many shoes are cut from one hide. The top brand in the world whose shoes cost £1200 retail could source the same grade one leather as a brand that charges £350 but cut only 1-2 shoes while the less expensive brand utilizes the entire hide. Same leather though! Keep up the great posts, always nice to learn something new about the industry. The shoe pr0n’s great too. you are correct….that is why the leather is absolutely flawless…. What do you think about the Saint Crispins leather? (and comparing with G&G leather). You have very instructive posts. Great text Justin! These things have been written about before in various ways in various places, but I’ve never read something this pedagocical and clarifying. Interesting also that french tanneries produce thinner leather that you believe crease a bit more. I’ve never thought of that, and for an amateur like me it’s always hard to tell how thin the upper leather of shoes are, expecially since manufacturers use different thickness in the lining leather, some use textile inner lining and so on. glad that you enjoyed it! 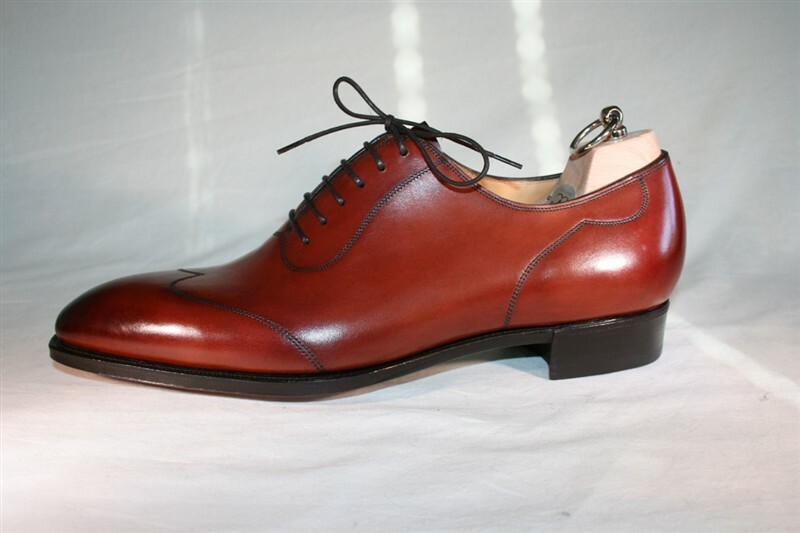 At least from what I have experienced, French calfskins always seem to be lighter and thinner with respects to their German/Polish and even Italian counterparts…And while i prefer them, I have noticed (especially with my bespoke shoes that I made while with Bemer) that they crease a whole lot more…. Have you found any strategies to decrease the creasing besides the usual shoe trees/ polishing? Thank you so much for this clarification! We are really gratful to you! For sure, I’m not the only one to appreciate this piece of information you have provided. 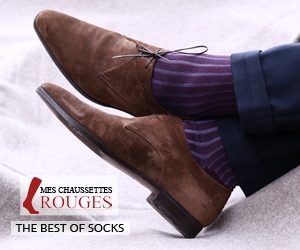 It is indeed important for shoe lovers to know for instance that the quality of a very good pair of shoes start playing out at the level of the choice of leather within the top grade ones. And therefore there are top grade and top grade! I remember a piece by Simon Crompton (Permanent Style) in which he was advising – with British shoemakers in mind – to consider shoes whose price tags start “at � 300 and something”. I then took it for granted and didn’t bother asking him how he reached this. Interestingly enough, it is the same indication you are also giving here! So below this freshold, one is, if anything, likely to witness creases on his shoes which are rather not nice, besides the longetivity issue! This is to me the first thing worth considering indeed well before going any further as to the quality of the lining, the insole, etc. etc.! Now, the question that springs to my mind is this: has the way a shoe is taken care of any impact on how it creases? Knowing of course that its durability highly depends on how it is polished. Thanks again for your commitment to our better appreciation of this fundamental piece of our wardrobe! PS: For Fall and Winter shoes, I think the thicker leather is better even if they happen to be oxfords! john, glad that you enjoyed the post! 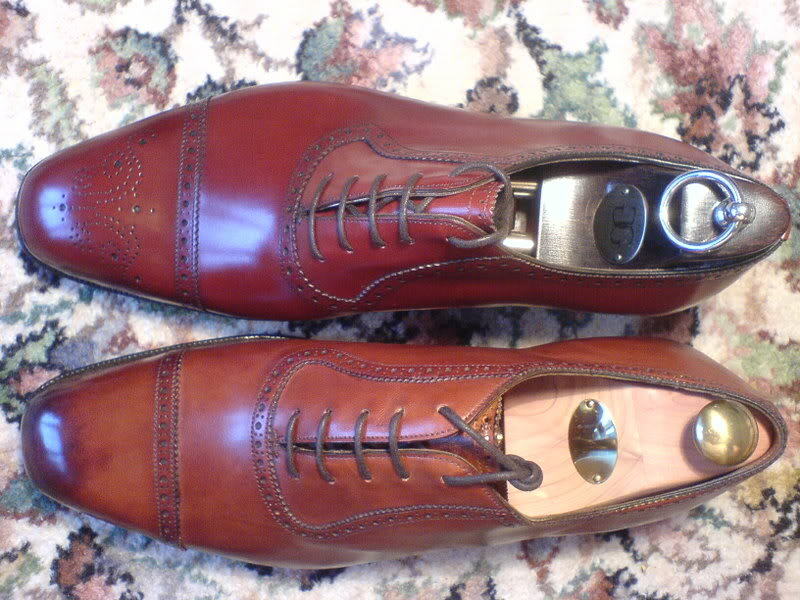 As per your question, well nothing can prevent creasing, but one can use shoe trees that are slightly bigger to really fill out the shoe and thus push out the creases as well as keep them from setting further into the leather…of course, regular nourishment of the leather (with stuff like the mink oil renovator) will help to make it soft and supple which also helps in making sure the creasing does not stay prominent…. hope that this helps and thanks for your appreciation of my work, that means a lot! You are really doing a good job, not just for us your readers, but also for the shoe industry itself. Look, less ignorance is better for them too. Frankly, how could one otherwise understand why a pair of G&G or EG is so expensive? Presumably, in the long run there will be a pre-and-post-ShoeSnob readership signaling a broad devide between those who can confidently set their sight on a pair of shoes, and knowingly buy it as a wise investment. Thanks for the kind words my friend, glad to know that you are enjoying the read! Thanks for the very informative post, & esp. for the photo clarifications of the points you’re making. you are dead on with that statement…. That was an exceedingly informative post – I learned a lot. Glad to hear it Roger! For your shoe line, what portion of the hide do you use? For someone who doesn’t handle shoes everyday, how can we really have an idea of the quality of the $450+ shoe we are considering? 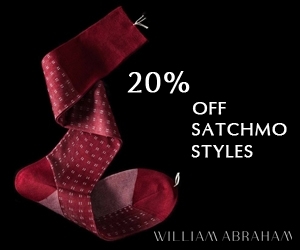 In other words, can we as customers really tell the difference between a Alfred Sargent shoe and an Edward Green shoe? If so, how can we judge whether the additional cost is truly worth it? This is a great post indeed! Now, we know you are enthusiastic about – among many middle range shoes – those of the French Septi�me Largeur. But what about the quality of the leather this shoemaker use? This post and the ensuing comments have completely changed my personal approach to shoes. From now on, before buying a new pair of shoes, I will adamantly stick to 1. the quality of the upper leathers, 2. the construction (Blake vs Goodyear, and quality), and finaly the style. In that order. It’s hard to say my friend…they probably use a mixture between grade one and two and possibly even three…I don’t work in the factory, so I can’t really say for sure what they are using…the eye should tell you though….but at their prices one cannot expect to only get grade 1 leather, that is not practical…. Glad that you enjoyed the post! If I may briefly venture a bit downmarket from the likes of G&G, can I ask. Question about Allen Edmonds here? I was told the other day that Allen Edmonds use a higher quality leather for their own shoes than for the visually identical shoes they make for Brooks Brothers. Great post Justin! Now I just need the same simple clarification for alligator and crocodile skins used to make shoes. for croc/alligator, a good maker should only get one pair out of a skin…. 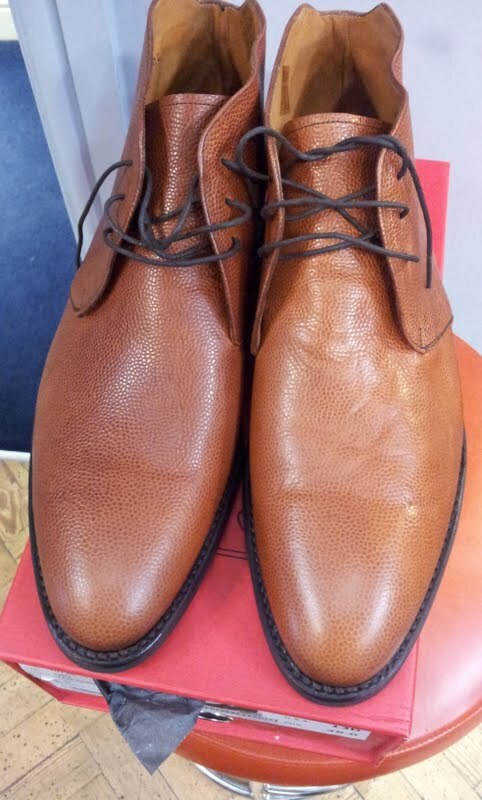 I am planning to make my own leather dress shoes but I would like to know where could I obtain the best quality leather. What should I use? I never made my own leather dress shoes before. If you can kindly tell me I would greatly appreciate it! depends on how much of the leather you are using (quality wise)…for 1 square meter, you can get about maximum of 5 pairs. I have just discovered this blog a few weeks ago so forgive the comment on an old post. A very insightful and enlightening post. One point troubles me though (and would be grateful if you could clarify), I have been told numerous times (including by those in the industry, I think at one point it was even mentioned in a video by a Crocketts employee) that C & J, Trickets etc use the same grade leather as Lobb & Edward Green and that the main difference is that the latter use the hide far more selectively (Lobb gets a single pair out of each hide, C&J gets 2-3). This obviously leads to a difference in quality, and I may have misread your article, but you seem to suggest that there is a much larger difference. From how it was explained to me, I was also under the impression that construction, shape and labour played a much greater role in price (at least at a C&J vs Lobb or EG pricepoint) than the quality of the leather. I tend to believe this as looking at leathers which can only be bought at one quality (like Shell Cordovan, which is graded by size and not quality) the price gap remains unchanged. For the most part you are correct. But when you buy leather from a tannery, you have to buy an assortment of grades 1-3. They will not sell you just grade 1. They will sell you just grade 3 if you want but if they only sold grade 1 to people some massive brands would buy it all up and create monopolies so there are rules put into place. Yes, it is rumored that Lobb will cut one shoe from a piece of leather but I am sure that they will do so from grades 1-3. The grades simply denote the amount of imperfections on a hide that is about 1.5-2 meters squared….you can cut one perfect shoe on a grade 3 hide. But not more than one. So yes, you are correct as we are mainly all using the same quality of leather (those from +£300). What separates the pricing is the amount of wastage one is creating. But there are tricks to shoemaking too that can make leather look nicer. The better a shoe is lasted, the better the leather will look. Loose leather looks bad, tight leather looks good. And there are many other factors too…finishing is a great part of expensive shoes. What kind of leather is the one used on shoes Image #4 ?? It’s not as shiny as the others, it is not intended to do so . How do you take care of it? Isn’t the “C&J” actually a Ludwig Reiter? Hi Justin. These days leather seems to range from calf to camel. Apart from their texture (aesthetic) is there a stark difference as to where e.g. quality, break in period, how it ages is concerned? Is this also same where different suedes are concerned? I ask as i am confused while trying to pick between leather for my shoes. Thanks! HI there. I bought me a pair of ankle leather boots. The two somehow differs slighty in colour and shine. Is that normal ?? I have a pair of ancient Florsheim plain Cordovan and wingtip Cordovans. 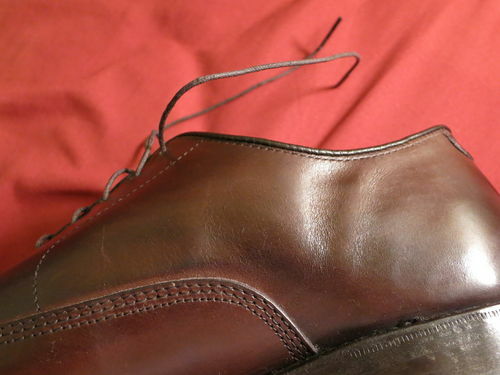 I have used black sole edging on them – is this wrong. I forget what color the original soles were. Also, I have been insisting on leather heels. when they are replaced I get a leather heel with a triangle inset of metal to deter wear. The metal triangles make a click on stone and cement – does this make me look bad? I put metal toe caps on the front end of the sole on all my shoes but never heard of metal heels. I can imagine they can be quite damaging to wooden flooring. Very interesting post on understanding degrees of leather quality. What confuses me most about comparing leather quality across brands is the proprietary element from some luxury brands. Examples that come to mind: Berluti’s Venezia, LV’s Epi and anything from Hermes. Clever marketing for sure but it’s hard to evaluate the quality since they have such distinct qualities. https://uploads.disquscdn.com/images/4f1b9a5eb44b8510c5f5ff9cd29d697867db776e3f66fa6aafd7a77f68ef4055.jpg I recently bought a pair of men’s shoes (used) and I cannot find any info on the brand. is there anyway that you can help?